"Within no more than a minute of screen time, we know that director Laure de Clermont-Tonnerre has authority and vision, and that we are watching a good movie." 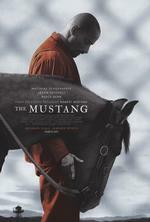 "It's Schoenaerts, one of this generation's finest actors, who makes "The Mustang" a moving look at human potential for redemption and rehabilitation." "A testament to the worthy stories yet to be told about the healing, unbreakable bonds between tormented people and the misunderstood animals that come to their rescue."